Living in a tent was crowded, unsanitary and unsafe. 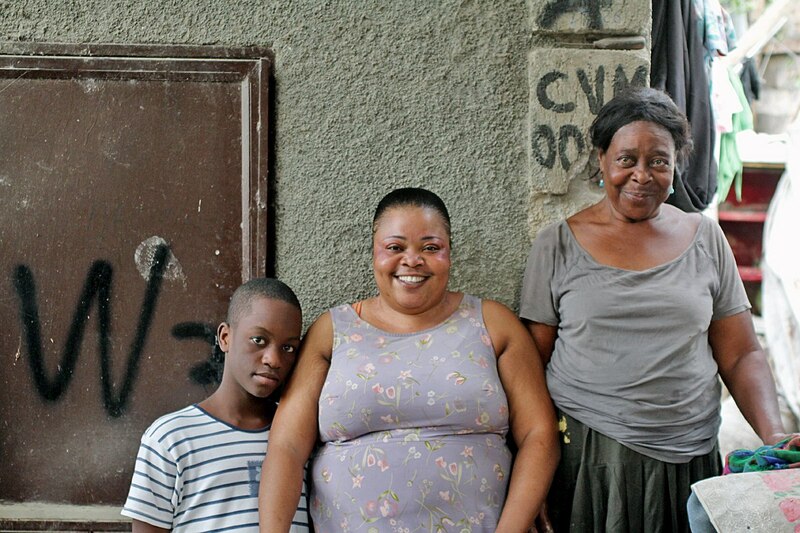 After two days, Benisette and her family decided to move back into their partially-collapsed house, despite the risks. Benisette’s house was so severely damaged by the earthquake that it was red-tagged by the Haitian Ministry of Public Works, meaning it was considered unsalvageable. However, Benisette was adamant that she would not allow her house to be torn down. Build Change and Degenkolb Engineers decided to evaluate the potential to retrofit her home to be earthquake-safe. After adding columns, a plinth beam and footing to the foundation, breaking down walls and adding new ones, and reinforcing doors and windows, the structure met standards for earthquake-resistance. The cost-effectiveness of the resulting retrofit encouraged Cordaid Haiti to consider expanding their program of retrofitting yellow-tagged houses to include some which were red-tagged. Today, Benisette’s home is safe. The structure is so sound that her mother can safely build an apartment on top.